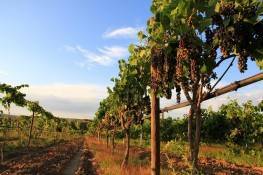 New Mexico is the oldest wine making region in the United States. Pair that with our southwestern hospitality and breathtaking vistas and you have the recipe for a fantastic getaway! Wine lovers enjoy St. Clair Winery & Bistro in Farmington and truly appreciate Wines of the San Juan. Visit and discover your love for New Mexico wines! Visit Wines of the San Juan and experience exceptionally crafted wines beneath towering sandstone cliffs, and marvel at the curiosity of their friendly peacocks! St. Clair Winery & Bistro offers the largest selection of New Mexico wines in the region, many of which are available for tasting.